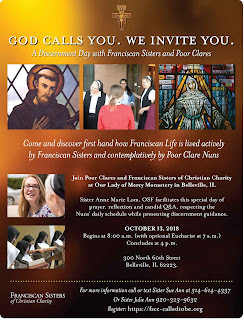 Franciscan Sisters of Christian Charity welcome you on the feast of St. Jude, October 28, 2017. 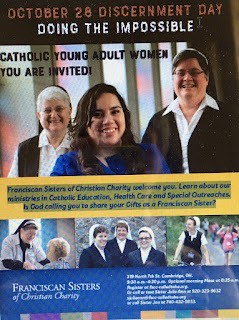 Learn about our ministries in Catholic Education, Health Care and Special Outreaches in Ohio. 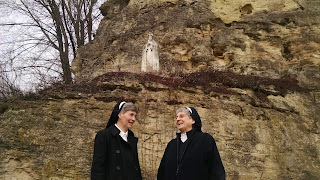 Is God calling you to share your Gifts as a Franciscan Sister? Why the theme of 'Doing the Impossible'? Of course, St. Jude is often associated with impossible situations. St. Francis, however, has a quote attributed to him that goes like this: Start by doing what's NECESSARY; then do what is POSSIBLE; and suddenly you are doing the IMPOSSIBLE. 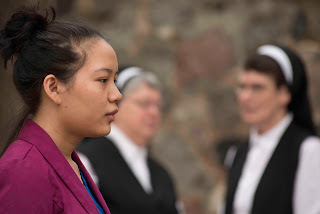 For some people, believe it or not, to follow the dream of their vocation, no matter what it is, feels like an impossible journey. If this is your experience, our Sisters will pass on practical helps that may help you to simplify your own discernment in doing God's will. If you are already making steps and doing what is necessary to grow in your relationship with God in seeking God's will, this retreat is also for you. We promise prayer time alone and together, some great conversation, a light lunch, an opportunity to receive the sacraments of Eucharist and Reconciliation and a tour of how we serve others in Ohio. To register click here. 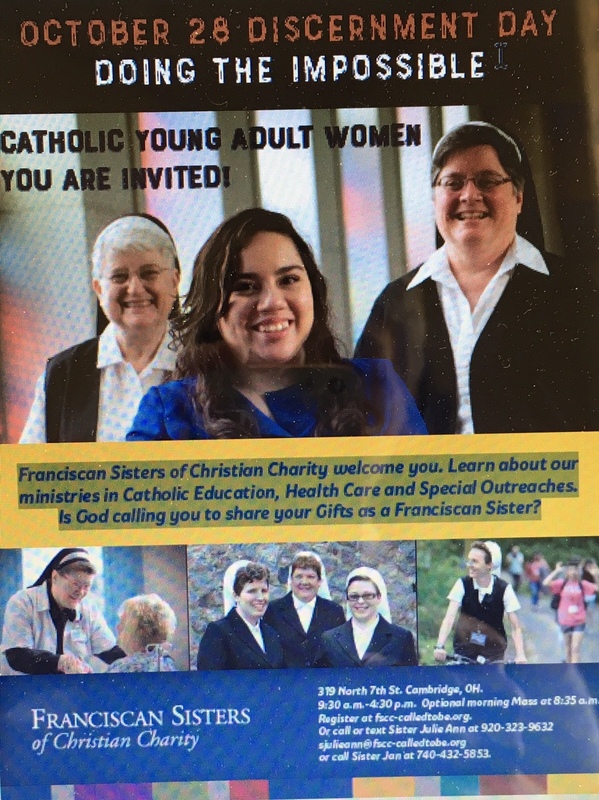 For more information locally call Sister Jan at 740-432-5853. Call or text Sister Julie Ann 920-323-9632 with any other questions. We are here to make it possible for you to attend.